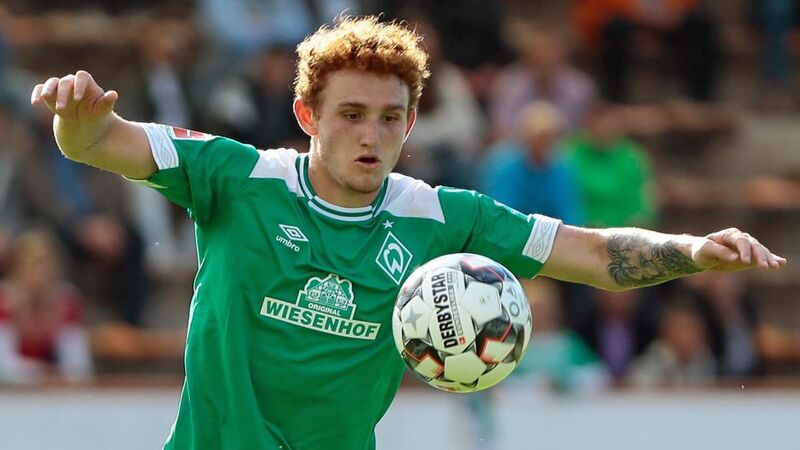 Josh Sargent sent a message to Werder Bremen head coach Florian Kohfeldt by opening the scoring in the Green-Whites' 5-0 rout of fifth tier side OSC Bremerhaven in a summer friendly on Tuesday. The USA international found the net just two minutes into the 45-minute contest, helping himself to his first senior club goal since signing a pro contract upon turning 18 in February. Sargent could scarcely have wished to make a better start to pre-season training, especially with Kohfeldt having already expressed his plans to unleash the Missouri-born forward on the Bundesliga in 2018/19. "I have other priorities in the transfer market, and with Johannes Eggestein and Josh Sargent we have two forwards that are ready to kick on," Kohfeldt said recently. Sargent, who played for the Bremen U23s before turning 18, also scored on his international debut for the USMNT in a 3-0 win over Bolivia in May. He later made substitute appearances in games against the Republic of Ireland and 2018 FIFA World Cup finalists France. The 2017 USA Young Soccer Player of the Year - handed the No.19 jersey for the coming campaign - will look to continue his encouraging start to senior football when Bremen face Duisburg in friendly action on 15 July.